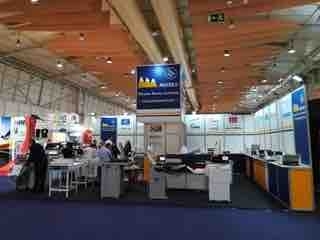 We will present our latest innovative products in Paper Counting Machines, Friction Feeders Solutions and Tab InserterS. With a continuously updated production and innovative technical solutions, B.MATIC has successfully participated in the press exhibition in Portugal. The mechanic has been realized for an industrial use with the maximum technologies and CNC precisions present on the market, as well as customizable with a wide range of accessories. For all our customers, we are pleased to announce that B.MATIC exhibits the innovative "PROTEC ADR 32" paper counting machine, which tripled the speed mantaining top precision in sheets counting. 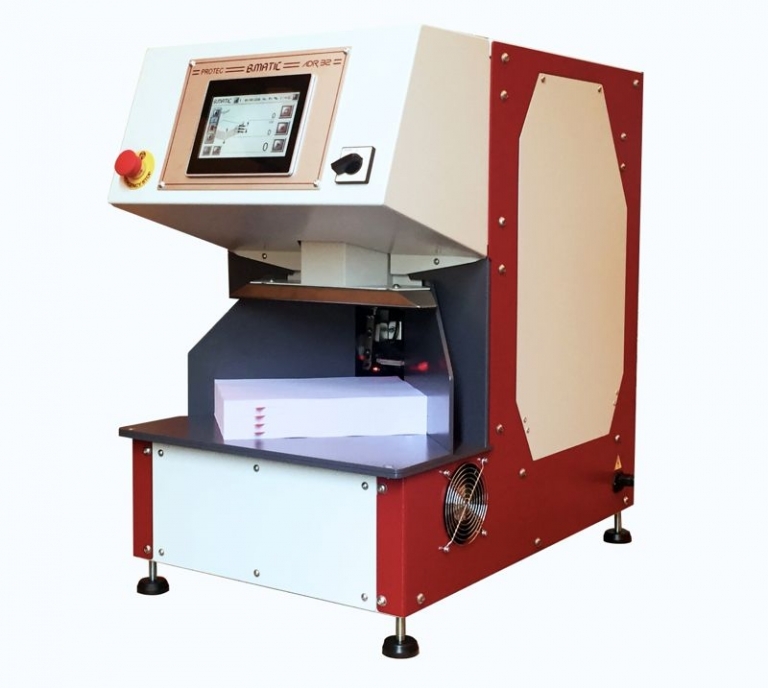 The counting technology "ADR 32" increasingly widespread in industry production and printing papers Securities and banknotes. of European and extra European countries: Bank of Thailand, CPBMC (China), Dipa (Hungary),...etc, are among the important customers who like to make use of new technology B.MATIC. while the Bank of Italy (notoriously one of the Euro printers with the highest quality and safety standards) decided to entrust B.MATIC with a new major supply. Following the recent delivery of three double-headed units equipped with "ADR 32". Following the great success of OCS Technology (Opposite Cantilaver Shafts), invented by B.MATIC which allows to adjust sheets size without tools in a few seconds. 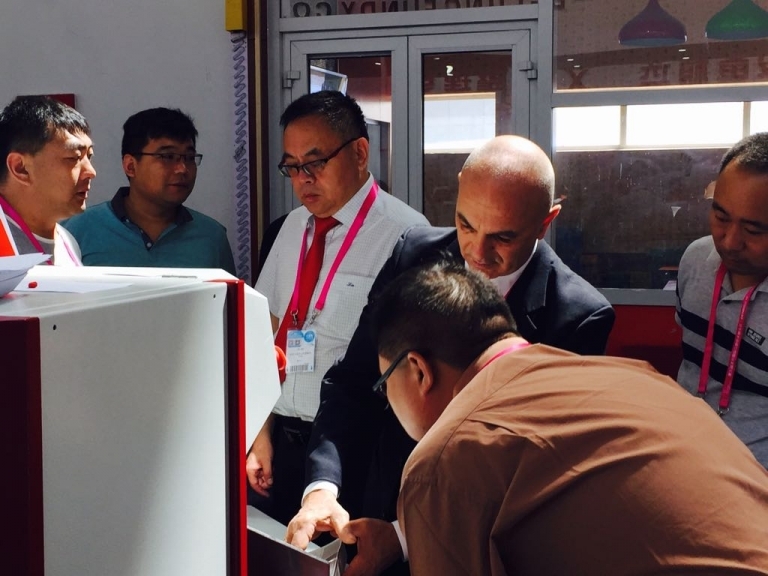 B.MATIC decided to introduce some important innovations to its F320 COUNTER. The result of these changes is the NEW FEEDER: "F350 COUNTER" ready for launch after a series of rigorous tests and the completion of the CE certification. -a more convenient location for the display. Booking of the unit will be possible in short after the communication broadcast to the public. 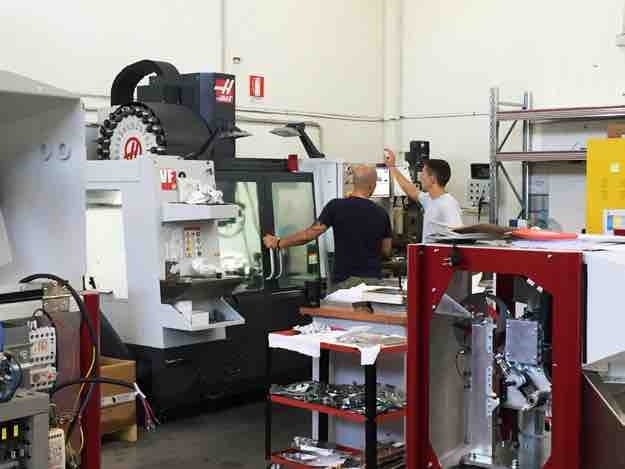 To be closer to the needs of its customers, B.MATIC has decided to equip itself with a new 4-axis numerical control machining center that will allow to follow real-time precision machining, on parts, spare parts and make special pieces on request. 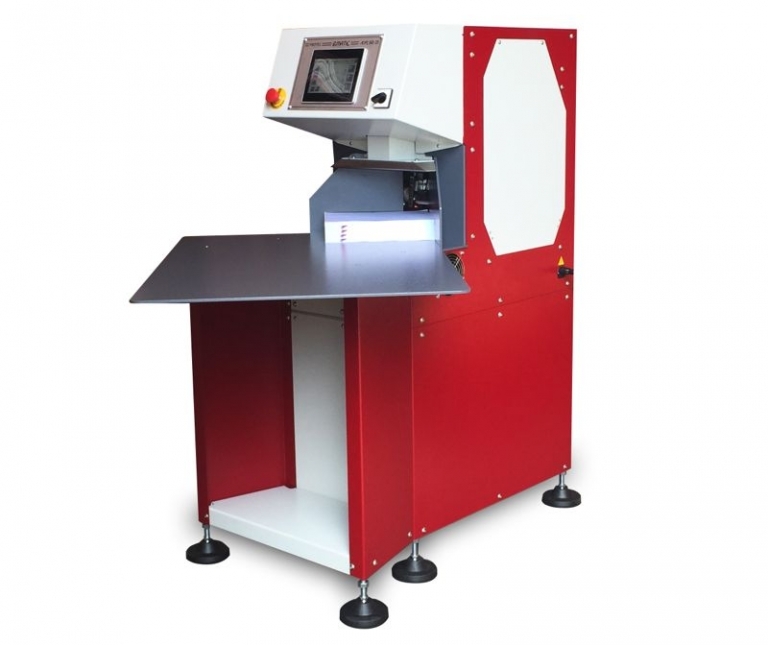 PROTEC CM ADR is the compact high-speed model that exploits ADR counting technology. An optimized technical design has allowed us to create a solid table machine equipped with an exclusive system, which makes our models unique in the world. The ADR technology counts the sheets one by one by means of suction palettes, making it possible to count not only flat paper but also cardboard and plastic, without scratching or deforming the angle of counting. Despite its small size, the counter PROTEC CM ADR can count a wide range of weights (from 40 to 500 GSM according to the model) with high counting speed (maximum speed 2,400 sheets per minute). The settings to adjust the machine for the thickness of the material are extremely quick and simple, and do not require mechanical equipment: the operator can manually replace the counting plates in a few seconds. The fine mechanical system B. MATIC guarantees a solid and reliable machine. PROTEC CM ADR can be equipped with a flag Inserter to divide the batch stack of predetermined paper quantities (optional). 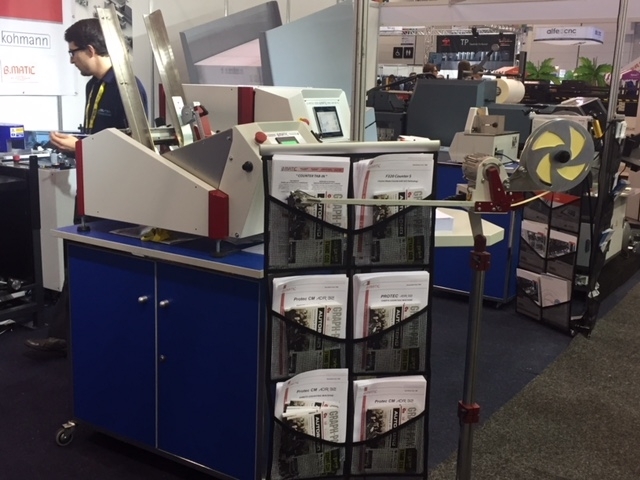 Toghether with the Key Industry Pack Print players, B. MATIC SRL is present at Melbourne Convention and Exhibition Centre, from 23 to 26 May. with the newest and most innovative Sheet Counter machine "Protec CM ADR 32 ",which thanks to the latest technology and innovations of the latest generation, has tripled the speed and precision counting on thin sheets. 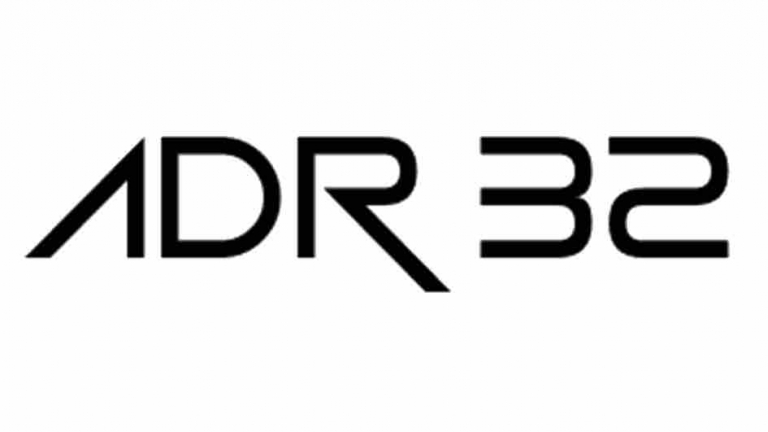 ADR 32 is perfect for commercial printing, converting and packaging applications. 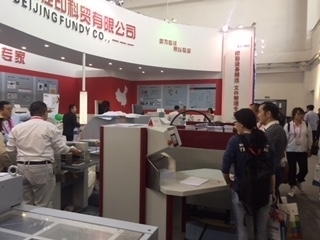 B.Matic has again participated for the third time and with great success at the biggest press fair in China. B.Matic presented the new compact sheet machine for commercial use at low cost. The "Protec CM ADR 32", which thanks to a latest generation technology has tripled the speed and accuracy of counting on thin sheets. The ADR 32 is perfect for commercial, converting and packaging applications. For all our Customers in Mexico and bordering countries: we are happy to invite you at EXPOGRAFICA 2017, GUADALAJARA from 17th to 2th May 2017. B.MATIC in cooperation with our partner GRAFTEC, will showcase latest novelties in B.MATIC production that has received such a wide acceptance from the mexican market. - PROTEC ADR 32 sheets counter high speed for paper, cardboard and plastic, counting without corner curling nor scratching! 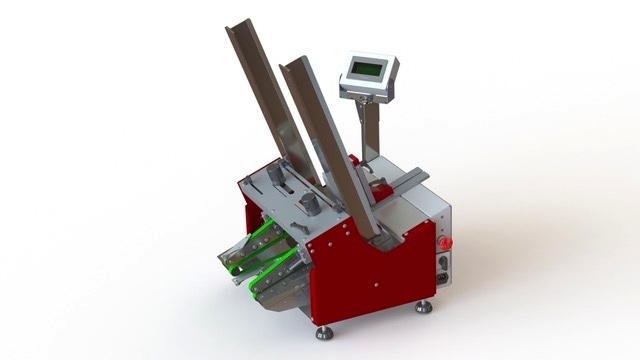 - F320 COUNTER S friction feeder / counter with OCS technology for quick and easy product setting and belts change without tools! - COUNTER TAB-IN tab inserter of the TAB-IN line perfect for printing presses and die cutters but also for paper mills!